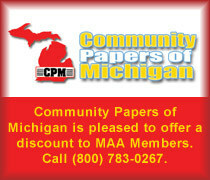 Any current MAA member with a paid convention registration may enter. That members name must appear on each entry form or the entry will be disqualified. 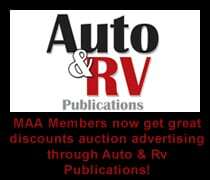 All entries must be in promotion of auctions occuring between January 1 and December 31 of 2018, unless otherwise noted. Exception: This does not apply to the Vintage Auction Memorabilia Category; Photo entries are within the last two years. Each individual entry must be accompanied by an official completed entry form and a $5.00 per item entry fee. Category 9, Vintage Auction Memorabilia will have no entry fee. Only original work will be accepted – no photocopies. MAA Members may submit up to three entries per Section in each Category. All entries must be received on or before 11 AM, January 31, 2019. Entries must be entered in person at the convention. No mailed or emailed entries will be accepted, except for the website and social media categories, which must be submitted via email by January 11, 2019. Failure to comply with any of the rules will cause the entry to be judged ineligible for the Marketing Contest. Winners will be awarded at the Presidential Banquet, if appropriate entries are received. 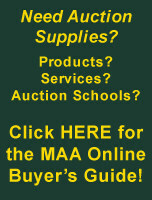 • All entries must display either the current MAA logo or include the statement that the Auctioneer is a MAA member. • In all Sections, color is defined by ink use, not paper. • Section 1 is for printed news stories written and published by professional news services. • Section 2 is for professional news video or audio coverage produced and aired by professional news organizations. • Section 3 is for audio and/or video projects produced by auction companies either internally or by professional production companies to promote either an auction or the auction company. • All audio and video recordings entries must be submitted on a thumb drive at the conference. Each entry must be submitted on its own thumb drive, one entry per thumb drive. The file should be clearly named so that the MAA can identify the entry. Each thumb drive will be clearly labeled with the member’s name. • Section 2 – News releases entered should be accompanied by any press clips or news coverage generated by them. 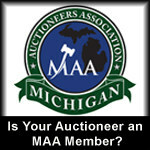 • All entries must display the current MAA logo or include the statement that the Auctioneer is a MAA member. • The presentation folder and all proposal contents will be judged in this category. 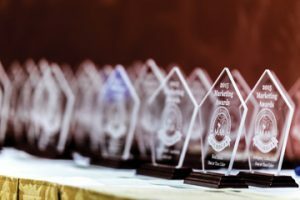 • All Website and Social Media entries must be received in the MAA Office by January 11, 2019 with the official entry form and required pdf for the social media category. The member Web Site will be judged on the layout, design, ease of navigation, completeness of information, etc. of the website. • Members may either submit printed views (.pdf format) of their website or judges will navigate to your actual website for judging. 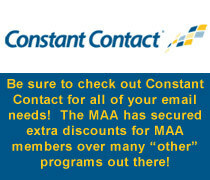 • All websites must display the current MAA logo. • All Social Media entries must be in PDF form and emailed to the MAA by January 11, 2019. • Social Media will be judged on effective use and integration of social media, a provided narrative and the example provided. The Sections in Category 6 are restricted to New Members of the MAA 5 years or less/or in business 5 years or less. 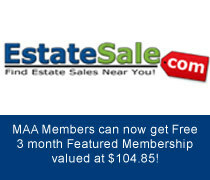 • Photo entries must be clearly marked with Members name, address, date of auction and category entered. • Photos must be recent, within the last two years. • Photos will be judged on quality, content and how well they capture an auction. • Judges will choose photos that DO NOT have company names or logos first. They will choose “logo photos” only if they are superior to other photos by a wide margin. • Auction Marketing Campaign of the year entries may be judged on any of the following: Innovativeness and creativity, Crowd pleasing aspects, Revenue earned, Technological enhancements, Promotional elements, Auction attendance, Auction items sold, Satisfaction of client(s), Satisfaction of bidders, Atmosphere of event. • Presentation folders and all contents will be judged. • Items entered in this category may also be entered in other sections. 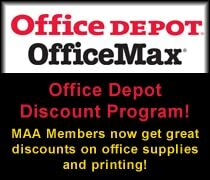 o Copies of photographs, advertisements, and any promotional materials. o Innovative marketing or techniques employed. Category 9 – Vintage Auction Memorabilia Categories – will be judged onsite by popular vote of the membership and conference attendees. Winners will be awarded at the President’s Banquet, if appropriate entries are received. 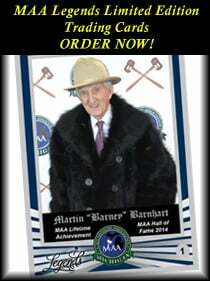 Auction Marketing Campaign of the Year & Social Media Website will be kept SECRET until banquet. Winning Entries will NOT be returned (except for Company Image Wear / promotional items) unless the request is made in writing along with the entry. A self-addressed, stamped envelope must be included. 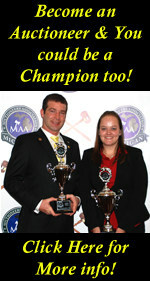 Winner names will be published in the Gavel and placed on the MAA website. 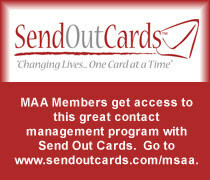 For Complete Rules & Procedures, go to the MAA Website at www.msaa.org. Download the Competition Forms HERE.